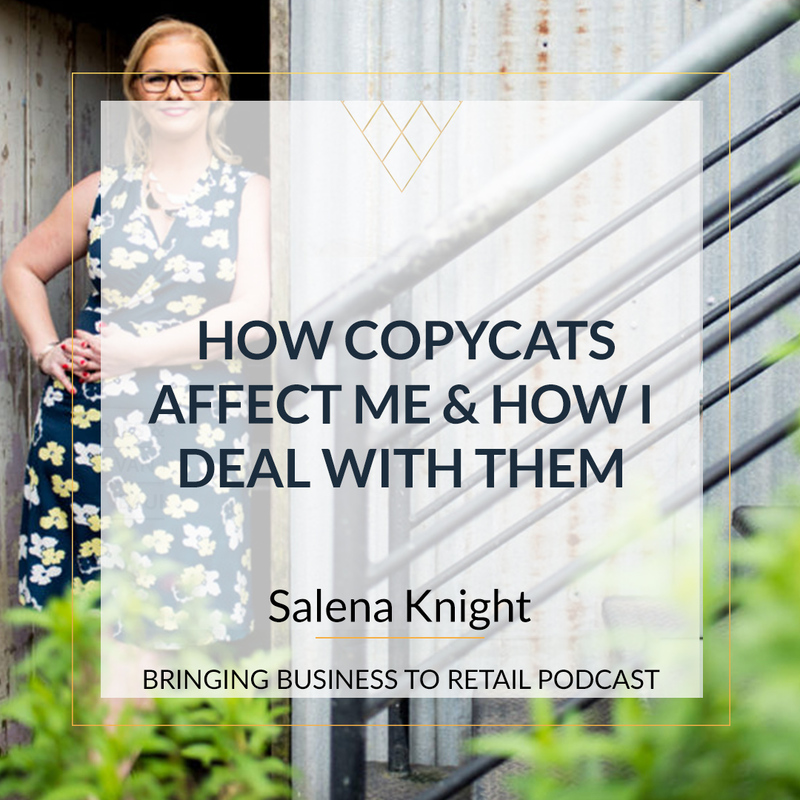 “Always remember, Your past is NOT your potential"
Salena: Hey there and welcome to this week's episode of bringing business to retail podcasts. Have you ever had one of those people in your life? You know the type of person who you spend time with them and afterwards, you just feel completely drained. They just seemed to take so much effort to be around. And yet we still hang around them. Why is that? 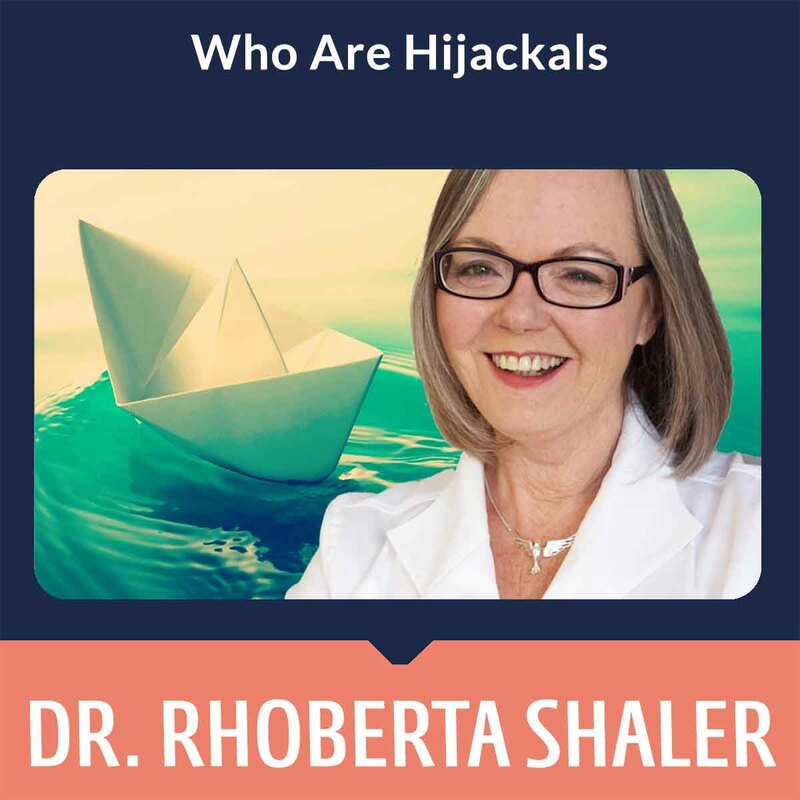 Well, today's guest Dr Rhoberta Shaler is going to tell us all about those people that she calls hijackals. Welcome to the show Dr. Roberta. Dr. Shaler: Thank you so much Selena it's a delight to be with you. Salena: So tell us about these people you've called them hijackals. I love that name. How did it how did you come up with it? Dr. Shaler: Well my doctorate is in psychology so I am very sensitive to the fact that people use psychological terms when they really shouldn't be. So I've found that so many people were going to the Google goddess and they were saying, my partner, my mother, my coworker behaves this way, and the Google Goddess is an index. So the Google goddess without credentials comes back and says oh they're a sociopath, a psychopath, a narcissist and spitting out clinical diagnoses and that's not helpful. You might think it's helpful but really it's a barrier in some senses because we really need to understand that we are the one in relationship with them. We need to understand what's going on. So I wanted a non-clinical term that would allow us to talk about the patterns traits and cycles of these relentlessly difficult toxic people. Salena: Ok. So for the people who are listening and they've probably already got an inkling that this kind of person is in their life. How do you define somebody who is toxic and is relentlessly taking taking taking taking rather than giving back in a relationship? Dr. Shaler: Well let me give you first my definition of a hijakal. Highjackers are people who hijack relationships for their own purposes. And then they relentlessly scavenge them for power status and control. So you are going to feel as though you can't do anything right. Everything is your fault. They have to when they were one of you. They will try and degrade, demean, devalue you. All in all and any of those things will happen and you'll walk away feeling like wow something was really off with that and you may be asking yourself what's wrong with me? And we really ought to be asking the question, maybe there's something wrong with them. Salena: So do we have to take, just on that conversation. Do we have to take any responsibility for allowing these people into our lives? Dr. Shaler: Absolutely. Which is my point about not labeling them with the psychological label because when we do that unless they have been professionally diagnosed and you're in every right to use that term then, when we do that we distance ourselves from them. And then we don't see that we're the ones in relationship with them. So something must be going on with us that makes that acceptable or allows us to be comfortably uncomfortable and yet we go back for more. We're participating in the relationship so absolutely we have to take responsibility for being there at all. Salena: Okay, so I have a question. When my husband cooks sausages on the barbecue I have a specific way I like them cooked. And if he doesn't cook them my way, then I have to admit I get a bit nit-picky about the whole thing. So am I a highjacker? Like what is the difference between someone who's nitpicky about a specific thing versus like that all-encompassing? Dr. Shaler: Yes certainly. No no. There's a big difference between nit picking and between and with being self-centered and then again with being a hijacker. There are all degrees of things. Every one of us is somebody's idea of a difficult person at some time but it's when we're in a pattern of behavior that is significantly impacting to the negative a relationship. And I should say this right now that high jackals are distinguished in one way because they will paint the public picture of perfection when they're out of the home but when they're interacting with you they will paint a completely opposite painful picture in private. And that's one of the things that you will definitely hear that. And know oh I know exactly then what a hijackal is because they are so generous, loving, marvelous, fabulous, giving in public. And then at home or when they're with you in their relationship they are anything but. They are out to destroy, damage and demean. Salena: That's scary isn't it? Like I was sitting here thinking of a TV show where I saw somebody like that. I don't know that I know anyone like this in person now because I... not that knowingly. But I had people like that when I was younger in my teens you know teens and early 20s. You always had that friend who had to be better than you. You had a story and they had a story that was better than yours or you wore something and they were always demeaning about you know that didn't look that great or wasn't flattering. A few of them popped to mind now but I've been very focused I guess in my later years of making sure that those drama filled people are no longer in my life. So nobody at the moment pops into my brain. Salena: Hey like I do have my dad is a bit nitpicky but certainly doesn't go to those kinds of extent. But can you have these people like we've said in relationships and I just want to be really really clear. That doesn't just have to be like your husband or your wife or your partner does it? Dr. Shaler: Oh no. I mean many people were raised by hijackal parents. So you have a very very difficult mother a father and you can't quite understand because the entire time you were growing up you were trying to please them and you couldn't. And and so you'll certainly find it in that realm. I've done a lot of work in businesses where you find that, particularly because hijackals will behave like a reverse pinball. I was speaking recently at the California H.R. conference and someone said to me what happens to hijackals in the workplace? And I said brace yourself for the answer. And everybody chuckled and then I said they get promoted. And the reason is that people don't want to deal with them so they give them a lateral or sometimes a vertical promotion. And so they get rid of them and they have peace in their department or on their team but they've just shifted the problem within the organization. And they have a way of, they are usually excellent workers and so they are showing that side of themselves so that they're relatively unfireable for quite a while until they really hurt somebody. But they will move up through the organization as people shift them away. And so you will have them in the next cubicle, you will have them as a boss, you will have them in churches. They're very prevalent in churches because they can have power over people. They can use whatever the philosophy psychology or doctrine of a spiritual organization to be right and to have power over people. You can have it in all walks of life and you will meet them. I just recently today was working with a client who had to go for some therapeutic interaction in a hospital where there was cognitive therapy being done. And as she told me the story of being there for four weeks the person in charge of that particular area was a complete hijackal. Salena: That's scary very scary. Dr. Shaler: Very scary. Imagine going to a doctor who's a hijakal or an attorney who's a hijackal. Salena: Do you know what I just had in my brain. Someone has just popped into my head and this is someone on a volunteer organization like a search and rescue type thing that's run by volunteers. And I'm just sitting here thinking you know a lot of times because I've done a lot of volunteering in my life. I don't wonder if that's a position that they kind of gravitate towards because you know if especially if they can't be the hijackal at work they can exert their authority over people because the volunteer is not being paid to be there you know that they're out of their own love and so they can use these you know self-professed power to get that need that you know the fire that they need to fuel them. Dr. Shaler: Absolutely. You're always find them anywhere that there is somebody who cannot find power. They look for a place to find power if they have hijakals tendencies and then they exert that power. So you can give them a small job and they will make it into an absolute bastion fortress that they rule. So in the volunteer situation just to add to that they will they will hold the organization's history in their hand or there will be the hardest worker or whatever. And if anybody says you can't speak to me like that, they'll look at you and say well I'll just quit then. And they tried to play that power of you can't do without me because I'm your best volunteer. But if you don't do what I say I will threaten to quit so I can keep everything in chaos which is one of the hallmarks of hijakals is keeping everybody in chaos, ambiguity, uncertainty. Salena: I think we've all worked with someone like that. If you've been incorporate, the kind of person who will sell their soul to the devil to advance and in the meantime just make everybody else's life hell because of it. Dr. Shaler: Certainly and they'll stand on your shoulders and then they'll Trump on your head. Salena: So what do you do if you encounter one of these people? So now that we've got a pretty good idea of like I'm sure everybody has somebody popping into their brain right now. What do you do with these people? Dr. Shaler: Well I'll try and give you the most serious answer I can. Salena: We laugh about it because when you're not in that situation and you know looking back in hindsight and things like that you can laugh about it. But when you're in a situation with one of these people it can be all-encompassing, all-consuming and you know you can lose all sense of yourself. Dr. Shaler: Absolutely. And that laughter that's what we call shadow laughter. I'm laughing at something that's not funny because I'm so uncomfortable with it that all I can do is laugh. You know so we do we can get along well with her. But they are everywhere. And in fact, the statistics show us that they are growing in numbers and that sad. And then we go about raising them because we have a generation of people who were raised in a very entitled way. So if they had any tendencies toward becoming a hijackal we help them on their way by allowing them to be entitled. So there are things happening all around us in all kinds of places that we are much more likely. More and more likely to have to contend. So your question is What do you do when you meet one. Well usually what you do is you're your pleasant, wonderful, compassionate, loving self. And they are the best love bombers in the world. So when you meet them they will charm you, they will manipulate you, they will seduce you, they will exploit you, they will get you on their side and you will honestly believe that they know you right down to your soul. And so you don't have much for a little while except thinking Isn't this lovely. Salena: And then things change. So if you're in a primary relationship with a person like that they love to get you into their life in a permanent way as quickly as possible. So they'll say things to you like oh I just know you're the person I'm going to marry. They'll say this on the first date. I know you're my soul mate. Why don't we just get on with it. The whole idea is to reduce the amount of time that they have to be in their love bombing behavior. They have to be their charming self. So they will tend to try and draw you in so that you feel safe and comfortable and delighted. And when they feel that you are in that position and they have you where they want, then they will they will take off the facade and they will behave however they choose to behind closed doors, whether that is behind the door of a cubicle or an office I suppose cubicles don't have doors do they. Or it's at home or wherever it is. But the person that you first met is not the person that is really there. Salena: And that is a scary place to be that you could almost feel trapped, And I guess it may be easy. I'm trying to think of a situation. It may be slightly easier to do this if it's your workplace because you may just be able to get another job and leave. But if this is your primary relationship this is a big step. You know you've invested emotionally a lot into being with this person that you just you know leaving is a big thing and I'm just... All these things are popping in my brain as you speak. I'm sitting here thinking about customers who do this and I have the most beautiful client who now that you talk about this person the hijackals. She had the high Jackel customer from hell he was exactly what you said. She would come into the store and she would be all lovey-dovey and then she'd be online saying the most nastiest things but then she come back in the store and say oh you guys are so fantastic. But then again on social media I went into that shop today and it took three minutes for somebody to serve me. Dr. Shaler: Wow. That's exactly what happens. And that's the two-faced of it as well. But then after you, if you should say to that person if they were your customer and you should say oh I was very confused by the review that you left me online. They will then say to you, well I call it like it is. And that's the way it was. You know those were almost the exact words this customer said to her. Dr. Shaler: I'm not surprised. And so one of the top hallmarks of highjackals and I have a whole program so people can learn all of these. But the top one is that these people and God bless them. They didn't have a hope coming into this world in order to be different. They were raised in that situation. They may have had some epigenetic markers for it their home life was difficult. They may have had a parent who was a highjackal, they may have had an abusive parent or a person who abused substances or some trauma happened to them early in their life. This is the only way they know to do life is the only way they know to survive. So we have to have compassion for that. But with that compassion, we can also recognize that we cannot condone or enable the behaviors. So if it is your partner as you say and you've been loved bombed and you've got someone who is now beginning to really demean you, devalue you, degrade you, do things that you cannot quite believe they did it. And you keep wanting to give them the benefit of the doubt and 36 more chances. It's really time to wake up and smell the herbal tea. It truly is because you keep thinking what can I do. What can I do if only I were more kind, more patient. If I stop nagging, if I were more compassionate, if I understood more deeply the situation you take it on yourself because you're a good person. And that's lovely. But when you're dealing with a highjackal they're taking advantage of that. That's why they sought you out and so you get enmeshed as they say they want to have this relationship go somewhere quickly because they don't want to keep up the pretense of being that love bomber. So they get you and they get you enmeshed in their finances. And then they say things like oh well you don't have to worry about finances. I'll take care of it all. Pretty soon they have control of all the money. 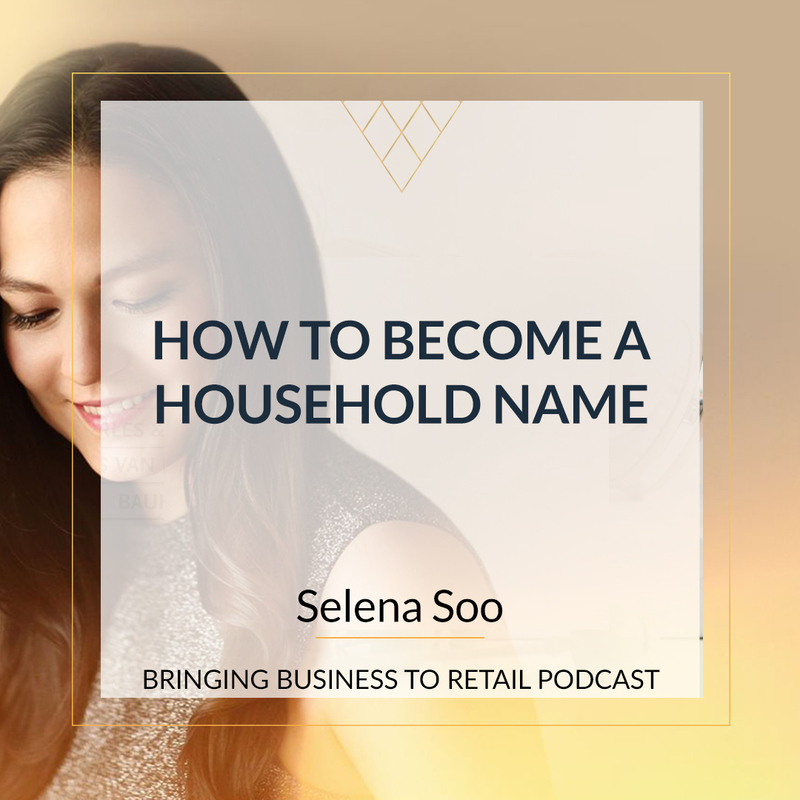 I've even had clients, Selina, where they were working with me to prepare to leave and they could not believe that they went to the bank and found their name had been taken off the house. They didn't know about it but they highjackal husband in that case had gone in and said my wife is very very ill she can't come in. We've got to put this piece of property into a trust soon and she's probably not going to live. So please take her name off it so that I can move this so that it will be protected. Dr. Shaler: These things happen because remember they're going to manipulate everyone. So it's not surprising that they manipulated the person at the bank. I had another client whose husband took another woman into the mobile phone store and she posed as his wife and agreed to have her name taken off and stop her cell phone service. Salena: That's kind of the thing of movies isn't it. You can't believe this happens in real life. Dr. Shaler: Yes. 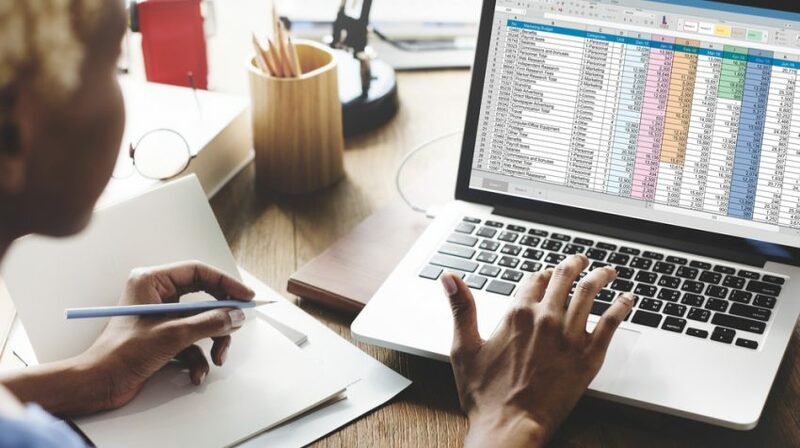 And I get examples of it many times a day because I have clients all over the world because I work by videoconferencing and it happens everywhere sending it everywhere. And I'm just thinking back to this customer that we're talking about and she actually signed a piece of,signed an agreement about the goods. Essentially she was waiting for goods to be delivered. And it takes a little while for these things to arrive. And she said made such a big fuss that my client got her to sign something about when it was due to arrive because she was so sick of this. And even though she'd signed this document she was at the store or back on social media complaining that her goods still hadn't turned up. Dr. Shaler: Well of course. And then if she were confronted with the fact that she'd signed this she said well I just did that to get you off my back. Something very very similar to that. So what do we do? How do we get away from these people? Dr. Shaler: Well, first of all, we have to work on our selves. First of all if we're not being sexually or physically abused and we're endeavoring to get away from emotional and verbal abuse we do our own work first because what could be worse than to focus on getting out of the relationship and not be empowered and go sitting in some new apartment. And not having strength and clarity and empowerment. So we do our own work first. That means that we look at what's my part in this relationship. How can I clearly see what the other person is doing? How can I learn more about these relationships? I have Facebook groups. I have websites. I help all of that where people can learn on my YouTube channel is see for yourself and understanding that this really does go on. You know the people in my Facebook groups they're chatting this happened to me oh it happened to me too. And you know so you get some validation because you're never going to get validation from a hijackal. They will not validate you. They want to tell you what you think and feel and need and want. They want to define your reality for you. So you get to that place where you don't even trust yourself, you second guess yourself all the time you question your sanity. And so, first of all, you do your own work. Where in my background did I ever encounter this before? What unresolved issues might I have in my life that now I see that I had a hijackal parent myself or there were was a hijackal close to me when I was growing up or what do I now value that is not being valued in this relationship. And why do I allow myself to condone and enable this? Next step. What are the skills that I need to do. What is the mindset change that I need to make? The next step is how do I prepare to leave? You have to be prepared to leave if that's what you're going to do. And then there's all the issues of the children we're talking about your spouse or relationship. Salena: If you if you have somebody who is a customer like this how do we deal with the customer is always right? This whole mentality of I should bow down to the customer and I'm just trying to I guess not negate the fact that this could be a partner. Because it's a very heavy topic. I guess I'm kind of lightening up a little bit and trying to just kind of say yes it can be, it can be in a relationship and if that's the situation that you're in right now obviously you may be triggered. But if you're listening to these and you're thinking well I don't know if I have one of those people but maybe I have a customer like that in business. How do you deal with that? Would you just kind of say look you're not welcome here anymore. Dr. Shaler: Well I think the first thing that you do it's an incremental process. The first thing. If they're not somebody who comes regularly but they do have their say so already for you. I think the most valuable thing that I can tell anybody to ever do while they're gathering their thoughts is when somebody says something opposite to what you think. You just simply say you could be right and then speak about what you want to speak about. Because when you say to somebody who's planning to burst your bubble by being nasty or forceful, and you say well you could be right. Something happens in the brain calls the disinhibiting of the neocortex. And you have a few seconds there where they go Oh I wasn't expecting that result. Now what do I do. And there's a little minute of confusion there. 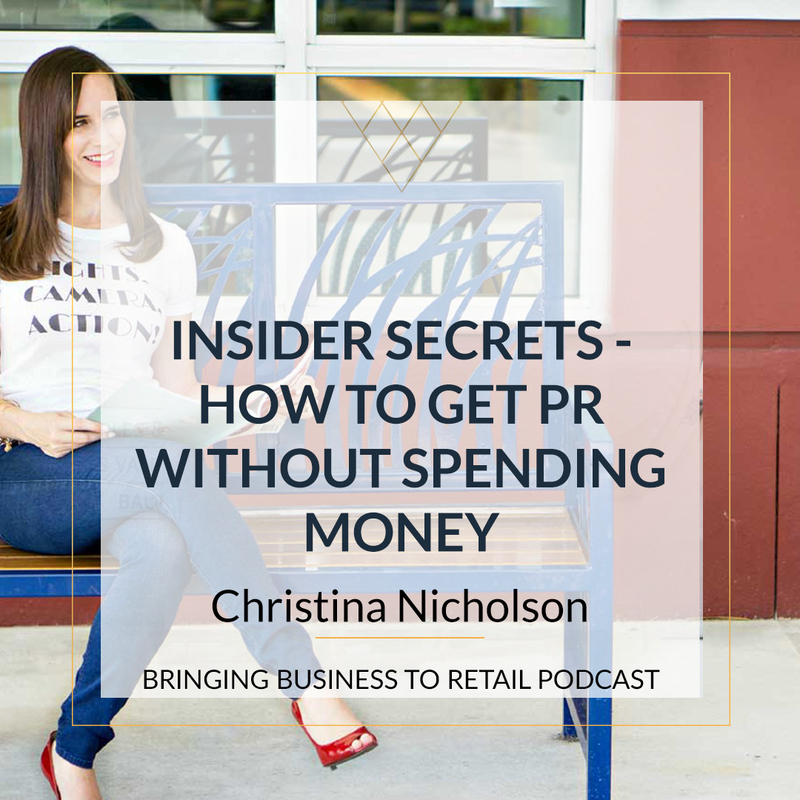 So then you can begin to speak and then speak only from your policies, practices and procedures manual. You say Well here we endeavour to do this for the customer or here we make sure that all our employees are treated with respect in the same way that we treat our customers with respect. So you begin to say some things that are truce, they are statements of fact because what happens with the highjackals is they want to run and believes that emotions are facts. So they create things that we call emotional facts. So it's a fact that I get upset every time I come into this store. Well, that's an emotional fact for you, it has nothing to do with the store. But they're endeavouring to make it sound as though there's something terribly wrong with this store. So it's important that you speak as the business owner or the employee that you speak in a fact after you have said something. Well, acknowledge the emotionality say I'm sorry that you're upset and not but I'm sorry you're upset, and we have a store policy that is thus. Or I'm sorry that you're upset and I can understand that you would prefer that to be different. However, this is what we do and so you acknowledge and validate their right to have their feeling but then you meet it with a fact and a policy or practice. That you could be right is such a diffuser. I've told my daughter that if anybody is nasty to you at school to say something similar like that. Because the bullies when they said that, they go yes I am right. And if she comes back and says yes you could be right. There's nothing left to argue about. Dr. Shaler: That's right and it takes the wind out of the sails for a bit. You know my mother was a hijackal. And I remember when I was 15 I was always way older than my years. I was 15 and she used to come home from going to church things and business things and all she worked and she would say well I really took the wind out of her sails. And I remember one day coming out of the fog of trying to ignore that my mother existed and I heard it and I said to her. Well, it seems to me a wiser thing to do would be to take your sail out of her wind. And at that moment my mother fell silent. Dr. Shaler: She was stuttering but but but... And that's what I mean about disinhibiting the neocortex. She had a plan that the conversation was going to go one way. I said that and the conversation was derailed. And so there was time for regrouping and then she said you always have something to say don't you. You could be right. You could be right. Exactly. Salena: Oh I think you have given everybody who is listening, I think they've been walking down memory lane. And if you are listening and you're in a position like this and you realize that maybe you are in a personal relationship or business relationship with one of these highjackals, where could they come to get some more advice from you? Dr. Shaler: Well certainly to my website that's forrelationshiphelp.com . So there you are find everything. You will also find my gift to you which is a copy of my eBook called How to Spot a hijackal. So if there's any wondering that's going on with you it's just that sometimes difficult person or is this a hijackal. Go and grab a copy. Just go to forrelationshiphelp.com. Also if you're visual I have 150 videos on my YouTube channel which surprisingly enough is called for relationship help. Salena: So if you're looking for relationship help it seems like Dr. Rhoberta Shaler has probably got some information that can help you. Dr. Rjoberta thank you so much for sharing all of this. I really want to make sure that if anyone has been triggered by this episode they jump over to your Web site. They reach out to you for a bit of help and they can start on that path of being more empowered themselves and releasing themselves from those kinds of toxic relationships. So thank you so much for sharing this information with my listeners today. Dr Shaler: Thank you Selena. It's really important that people understand that and if people also are interested in a podcast I have one called save your sanity help for handling hijackals. So there are lots of good things in addition to all the good work you're doing. Selena thank you so much for having me. Salena: Not a problem we'll make sure we link to that in the show notes. 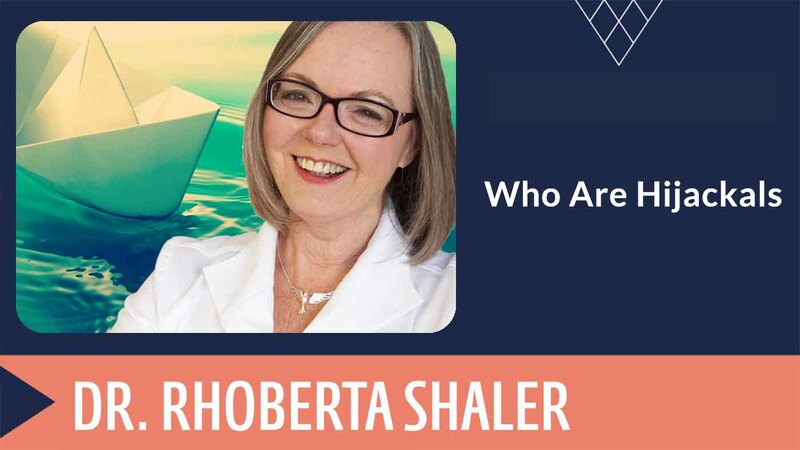 As a relationship consultant, mediator, speaker and author, Dr. Rhoberta Shaler, The Relationship Help Doctor, provides urgent and ongoing care for relationships in crisis. Her mission is to help people stop tolerating abuse. Even the United States Marines have sought her help. Dr. Shaler focuses on helping the partners, exes, and adult children of the relentlessly difficult people she calls “Hijackals.” She offers strategies for dealing with the constant uncertainty and jaw-dropping behaviors of toxic people. Author of sixteen books including Escaping the Hijackal Trap and Stop! That’s Crazy-Making! How to Stop Playing the Passive-Aggressive Game. She is the host of two podcasts: Emotional Savvy: The Relationship Help Show and Save Your Sanity: Help for Handling Hijackals!